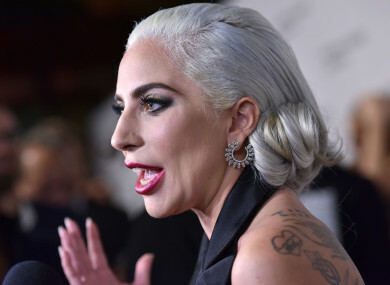 LADY GAGA HAS said she intends to remove her 2013 duet with R Kelly from streaming services in the wake of sexual misconduct allegations against the rapper. In a statement released this morning, the artist said she had collaborated with Kelly on Do What You Want (With My Body) during “a dark time” in her life. She said that as a victim of sexual assault herself, she wanted to create “something extremely defiant and provocative because I was angry and still hadn’t processed the trauma that had occurred”. She apologised for what she described as “poor judgement” and for not speaking out sooner. I think it’s clear how explicitly twisted my thinking was at the time. If I could go back and have a talk with my younger self I’d tell her to go through the therapy I have since then, so that I could understand the confused, post-traumatic state that I was in – or if therapy was not available to me or anyone in my situation – to seek help and speak as openly and honestly as possible about what we’ve been going through. “I can’t go back, but I can go forward and continue to support women, men and people of all sexual identities, and of all races, who are victims of sexual assault,” she said. Gaga said she was making this statement not to make excuses for herself, but to explain. She said she will be removing this song from iTunes and other streaming platforms and will not be working with Kelly again. The documentary series by Lifetime, Surviving R Kelly, aired recently in the US. It looked at allegations that he has sexually abused women and girls throughout his career. Kelly denies all allegations of sexual misconduct made against him. Email “'Horrifying and indefensible': Lady Gaga to remove R Kelly duet from streaming services ”. Feedback on “'Horrifying and indefensible': Lady Gaga to remove R Kelly duet from streaming services ”.